the heroine of Tennyson's Idylls of the King whose love for Lancelot is not returned.This has only recently been attributed to Emma, on style grounds, and the three versions known are now all thought to be by her and not her brother. Born in Norwich in 1843, the second child of Anthony Sands, a jobbing painter. 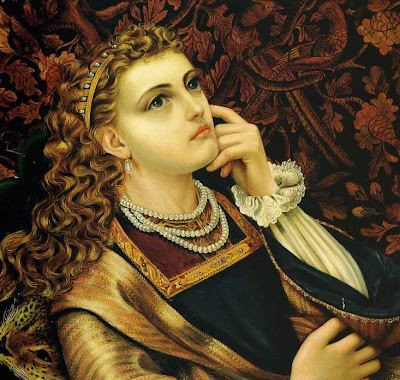 Frederick Sandys (15 years her senior) is the better known. Emma was taught by her Father and she began to exhibit from 1867 onwards (though her earliest known painting is dated 1863). She exhibited portraits and female heads in oil with some in chalk. She had patrons in and around Norwich but probably spent time in her brother's studio in London. 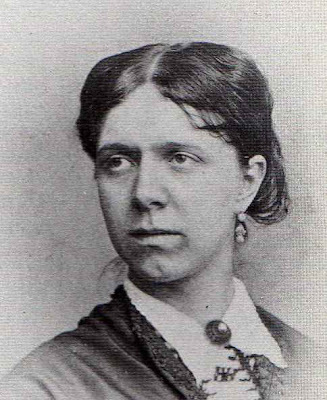 Her last exhibition was in 1874. She died in Norwich in 1877.